Swarga Foundation conducted Gel Candle making workshop for the Corporation workers from Sanitary Department and Anganwadi school at Puliakulam. 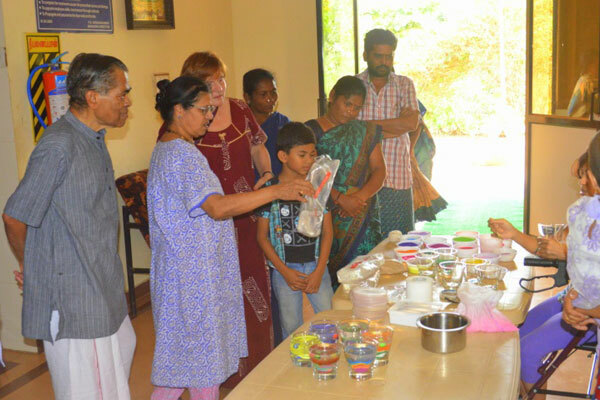 Swarga Foundation conducted Gel Candle Making Workshop for the patients and the caregivers at Arya Vaidya Chikitsalayam, Navakkarai on Dec 13, 2014. 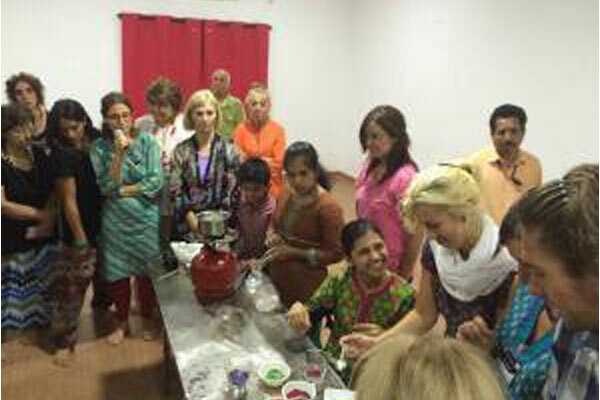 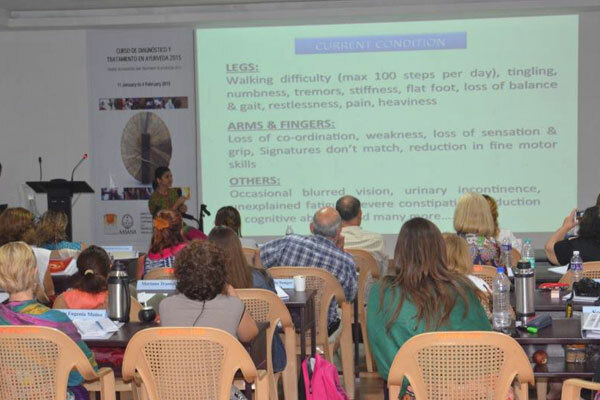 Swarnalatha, Managing trustee in candle making session with delegates from AASANA, Rosario, Argentina on 19 Jan 2015. 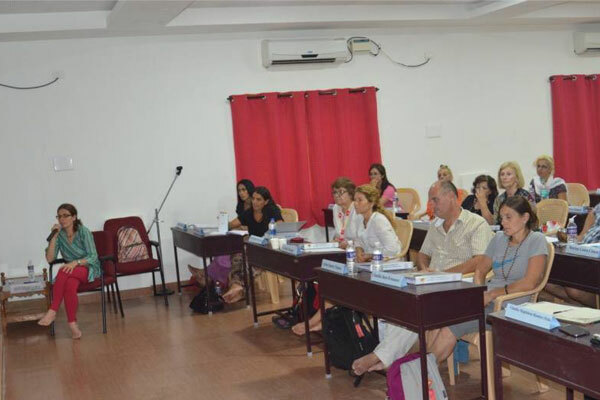 Swastha is the state of being established in oneself. Swasthya or wellness becomes the way to get back to health or AROGYA. 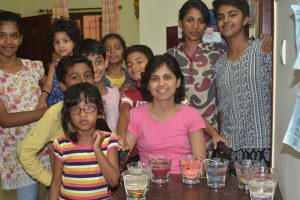 Swarnalatha makes the candles for lighting the small lamps in life that can make a difference. 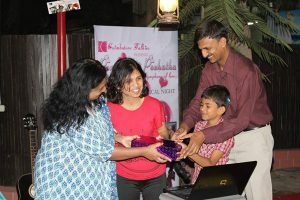 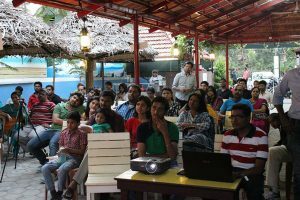 Swarnalatha and our Children, Vaibhav Krishna Bhatta, Dhruv Akarsh and Gagan entertained the audience during the program PONMALAI POZHUDU organised by Coimbatore Talkies on the Sunday, February 15, 2015 at Chai’s Restaurant, Race Course. 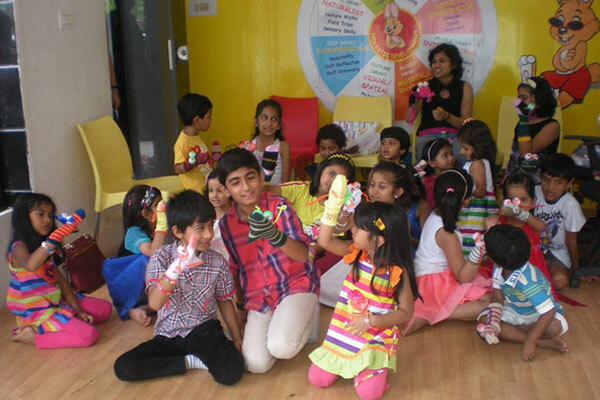 They sang foot tapping hindi numbers like Senorita and Koi Kahe Kehta Rahe. 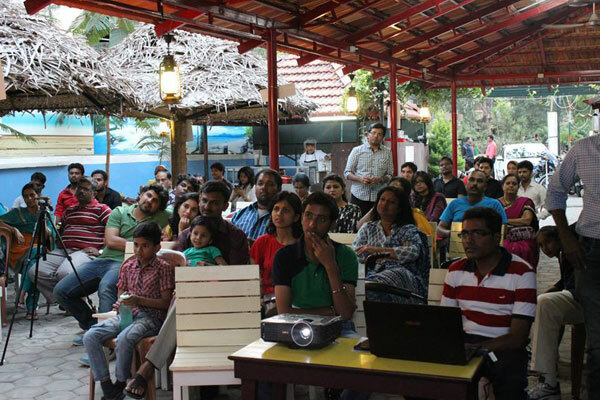 The audience was enthralled by their performance. We also distributed the pamphlets about Multiple Sclerosis to all the people present. 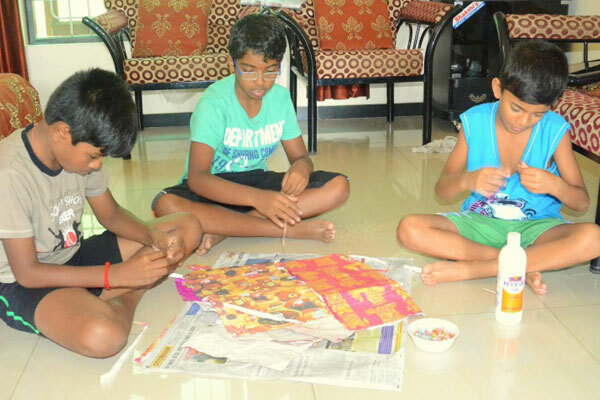 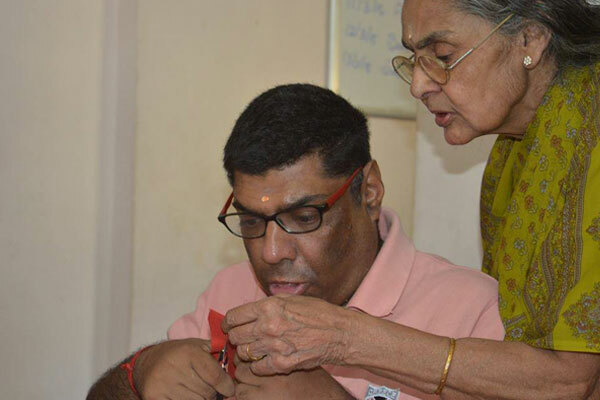 Swarga Foundation @ Amaze Charitable Trust, Coimbatore (Activity centre for children affected with Autism) on the Friday, March 13, 2015 to conduct Paper jewellery workshop. 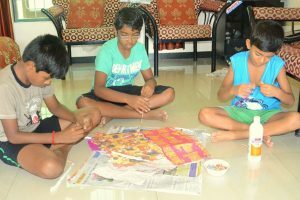 The kids enjoyed thoroughly making bracelets, chains and ear rings. 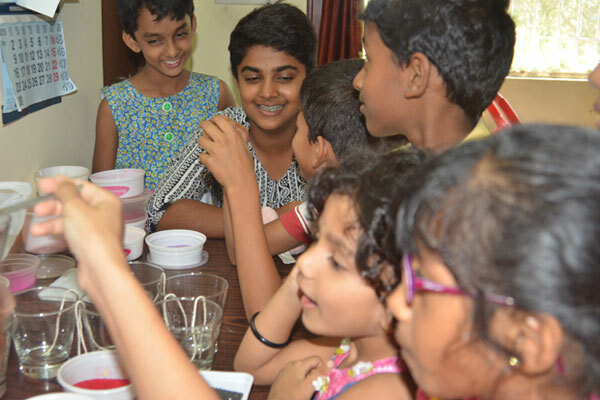 Kids were happy and excited to gift the jewellery made by them to their sisters, mothers and friends. 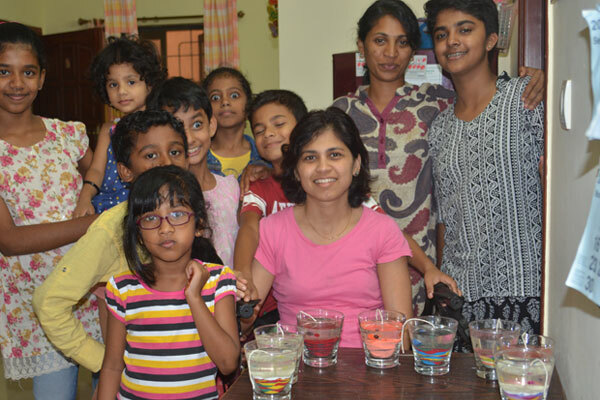 This workshop was aimed to improve the color identification, sequencing and motor skills of the children. 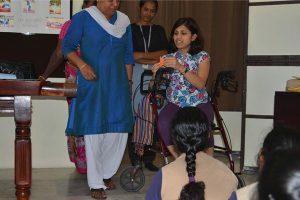 We sincerely thank Mrs. Akila Vaidyanathan for considering us for this noble initiative and the staff for being so supportive. 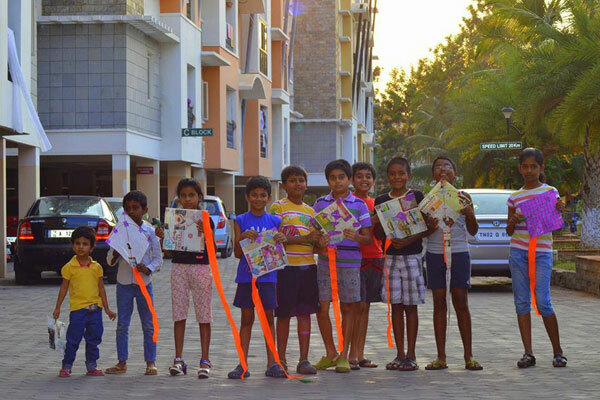 On March 22, 2015, making and flying their kites was the best thing the children could learn on a Sunday evening. 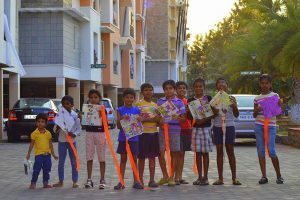 And also to learn that joy comes only with little things around us, we made Kites with newspapers and old gift wrappers. 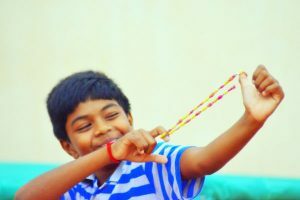 Let’s not limit our happiness to our childhood memories, let’s pass it on to our future generations too. Teaching kids to find joy in simple things, is the best legacy we will leave for them. 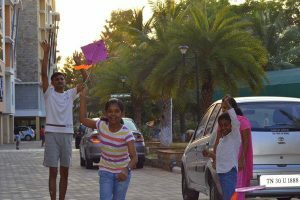 The best moments captured…. 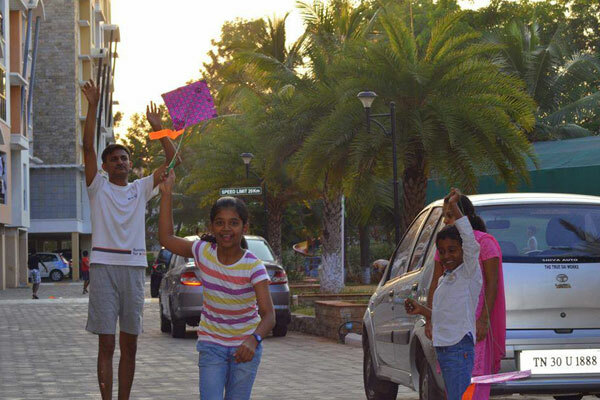 at Royal Sheraton Apartments, Coimbatore. 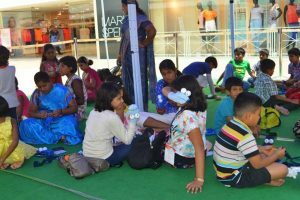 SWARGA FOUNDATION conducted puppet making workshop at Brookefields Mall on May 14, 2015 for the children attending the summer camp. In all, there were 25 children from age group 5-15 who learnt to make puppets using socks and to play them too. 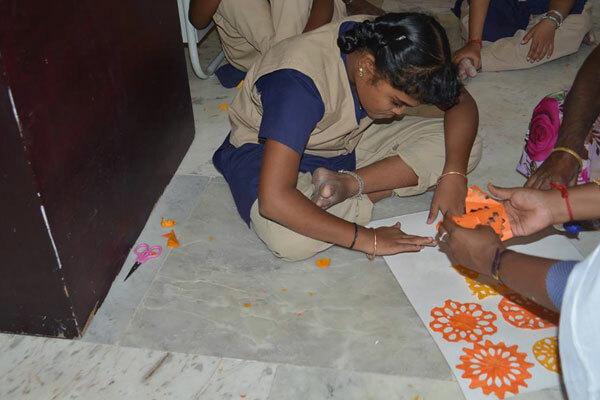 This workshop was aimed to improve coordination skills and instill interest towards art and crafts in the children. 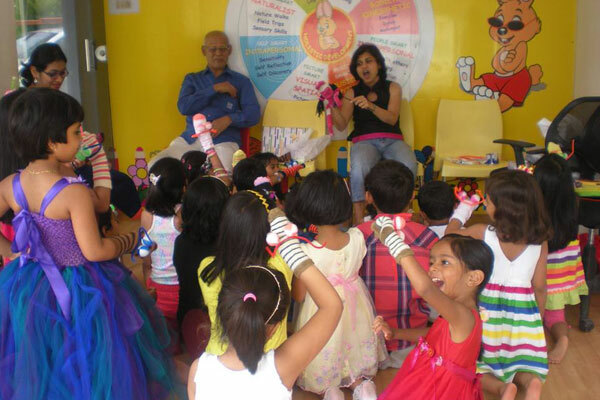 Swarga Foundation @ Bookmark on August 2, 2015 to conduct Puppet making workshop for the tiny tots. Smiles, giggles and laughter added to the fun filled atmosphere. 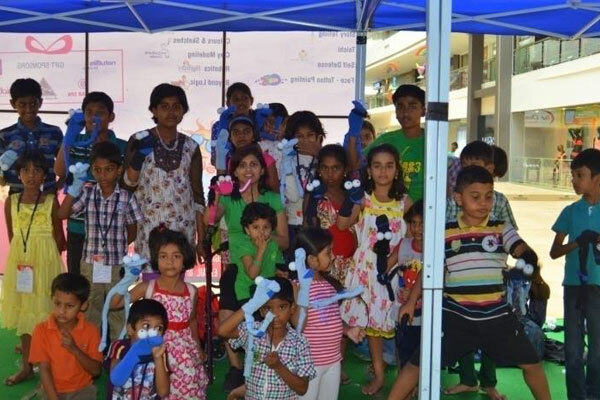 Children sang their favorite rhymes, jumped and danced with their puppets – what better way to celebrate friendship day – with intelligent yet innocent minds! 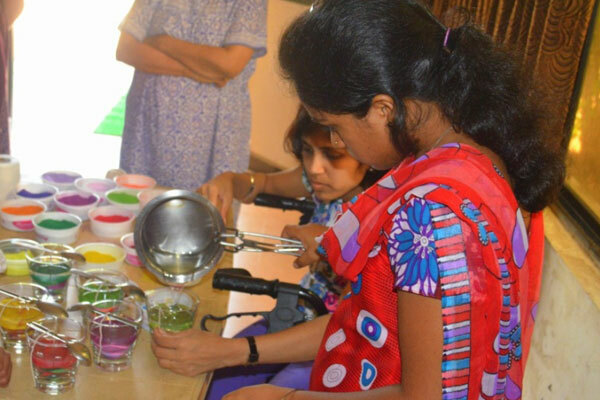 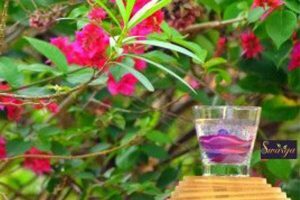 Swarga Foundation @ Royal Sheraton Apartments to conduct Gel candle making workshop. 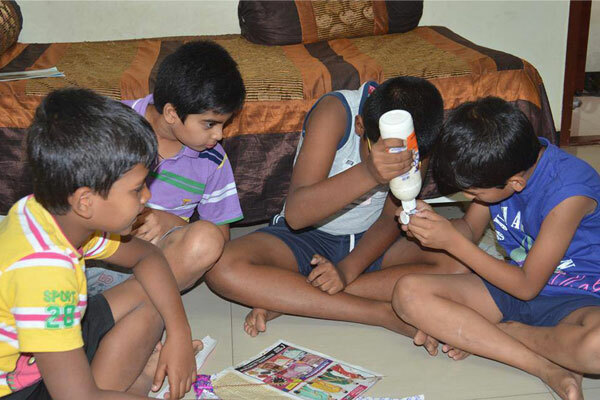 Around 10 enthusiastic children attended the workshop and made about 18 candles. Children played with colors and enjoyed making colorful candles. 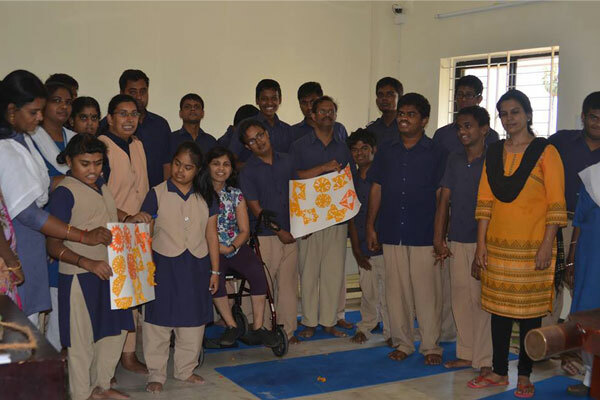 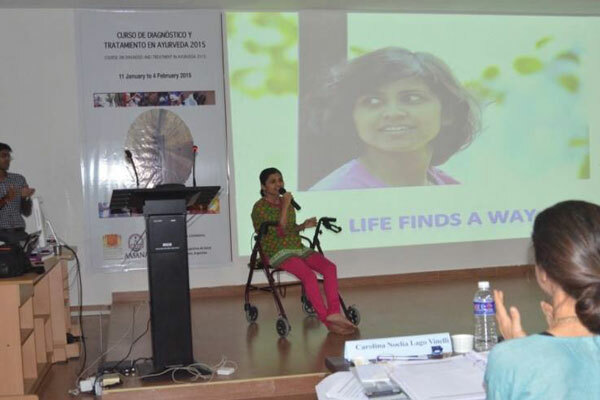 We have been always motivated by Ms.Deepa Mohanraj and Ms. Annapurna Jayaram, founders of Kaumaram Prashanthi Academy, school for children with special needs. 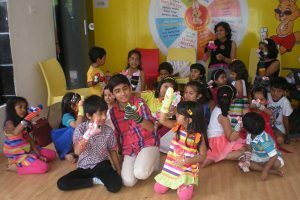 Swarnalatha and Delphina Rex visited the Academy on February 22, 2016 and conducted paper-cutting workshop, followed by singing and dancing. The highlight was the tasty lunch prepared by the children of the academy. 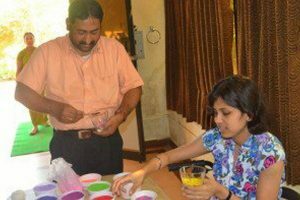 We thank TNT India for the logistics support.